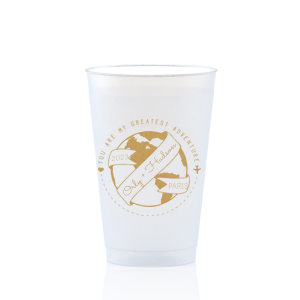 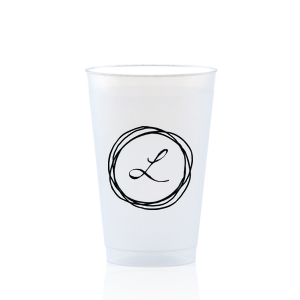 Add a polished touch to your bar with custom cups. 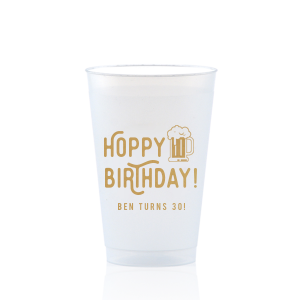 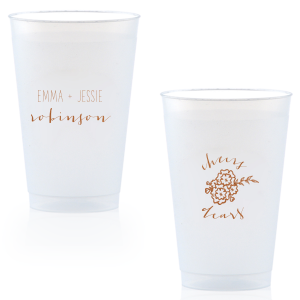 14 oz frost flex cups are an elegant option for plastic cups. 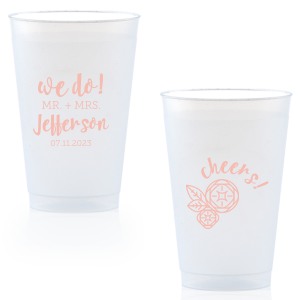 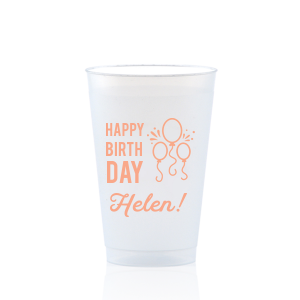 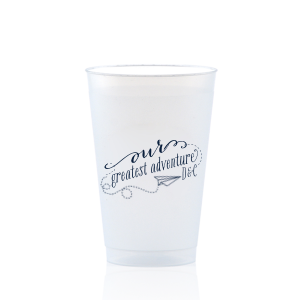 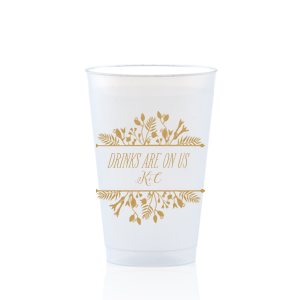 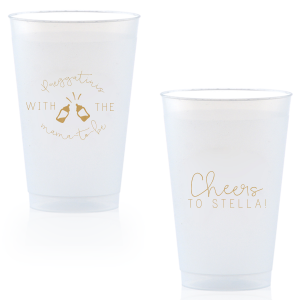 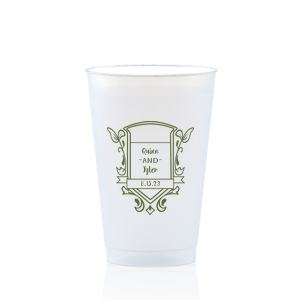 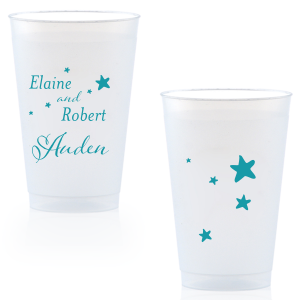 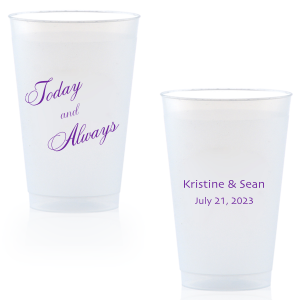 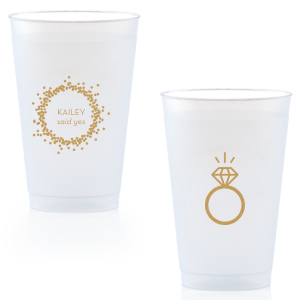 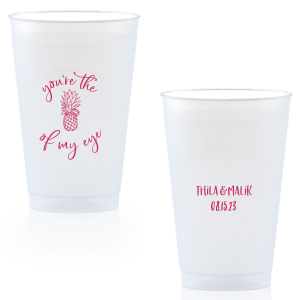 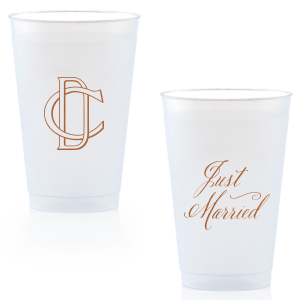 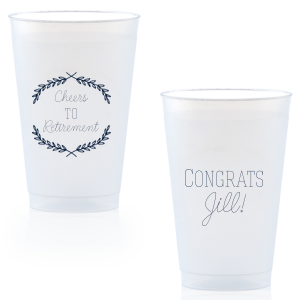 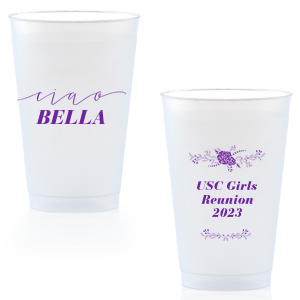 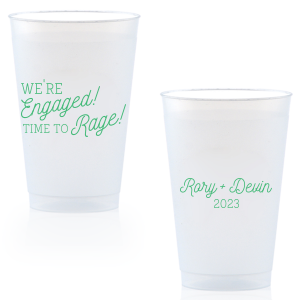 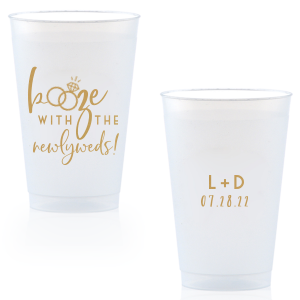 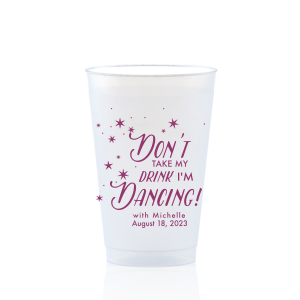 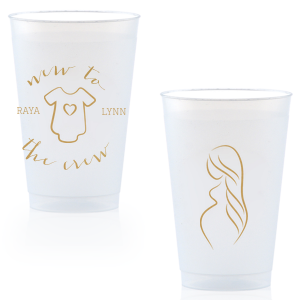 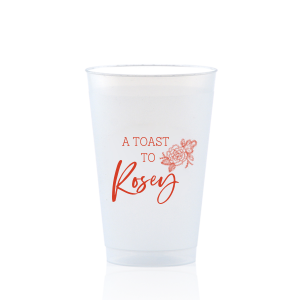 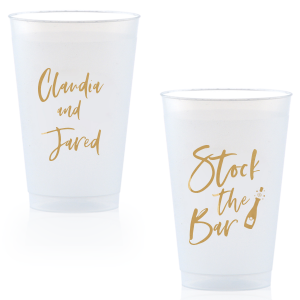 They are the perfect size for signature drinks or any mixed drink on your wedding bar. 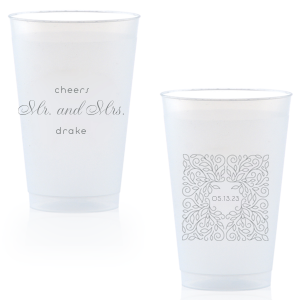 Customize with your theme today!